Soha said being surrounded by shutterbugs constantly is not good for the child. A child who loves to pose is a photographer’s dream come true, and it is not only because of their cuteness, but because of their innocent antics too that grabs everyone’s attention. But how much of clicking is too much? And what about the child’s welfare? 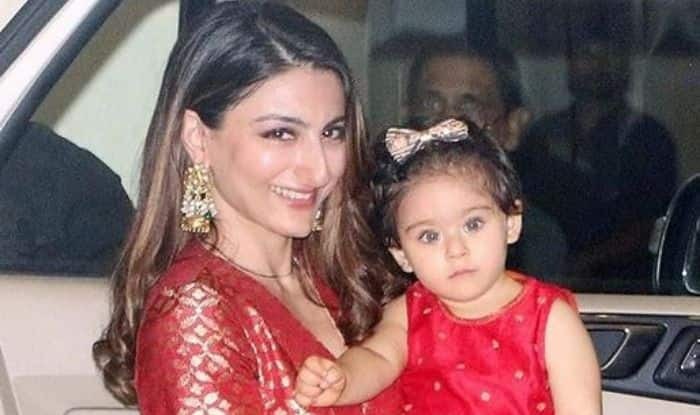 Well for actress Soha Ali Khan, being followed by the paparazzi everywhere and her daughter getting clicked for pictures, is not something that she is happy about. Earlier there had been discussions about how the constant flashing of the camera lights can affect a child’s vision, and recently Soha spoke about how the children can lose their innocence when they are constantly surrounded by cameras and shutterbugs. “A child is known for their innocence at such an age. Being constantly surrounded by cameras and shutterbugs makes the child lose this innocence that must be treasured. It’s terrifying and worrying to say the least,” Soha said on Ishq 104.8 FM’s show What Women Want with Kareena Kapoor Khan. A video that was shared this month showed her and Inaaya walking together with the paparazzi hounding them for pictures. Amidst the flashing lights, Inaaya can be heard saying “No” and Soha also encouraging her to say so. The flashing lights were clearly disturbing the little girl. Soha while chatting with her sister-in-law Kareena on the show said, “I don’t like my daughter Inaaya being clicked.” She also added that there “is absolutely no privacy and such things affect the growth of a child”. Soha, who is married to actor Kunal Kemmu, has acted in a number of movies, making her acting debut in 2004. The most recent movie she starred in was 2018 thriller Saheb, Biwi Aur Gangster 3.